Fuentes Photographs: Jewish Genealogical Society of Southwest Florida. Sonia Pressman Fuentes at the Jewish Genealogical Society of Southwest Florida. 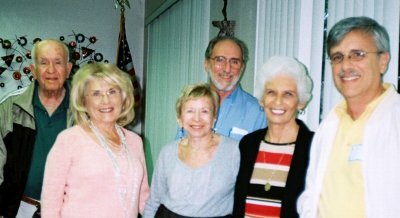 This photo was taken at a program of the Jewish Genealogical Society of Southwest Florida March 21, 2010, at Kobernick House in Sarasota where former mayor of Sarasota, Lou Ann Palmer, spoke on "My Memories of Sarasota Jewish History."